The unemployment rate in the US 1910–1960, with the years of the Great Depression (1929–1939) highlighted. In the 21st century, the Great Depression is commonly used as an example of how far the world's economy can decline. The depression originated in the United States, after the fall in stock prices that began around September 4, 1929, and became worldwide news with the stock market crash of October 29, 1929 (known as Black Tuesday). 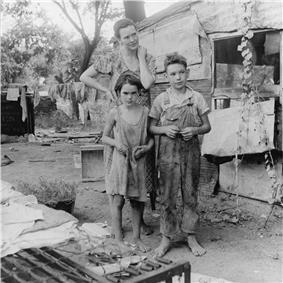 The Great Depression had devastating effects in countries rich and poor. Personal income, tax revenue, profits and prices dropped, while international trade plunged by more than 50%. Unemployment in the U.S. rose to 25%, and in some countries rose as high as 33%. Some economies started to recover by the mid-1930s. In many countries, the negative effects of the Great Depression lasted until after the end of World War II. 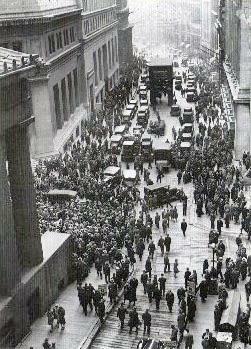 Economic historians usually attribute the start of the Great Depression to the sudden devastating collapse of US stock market prices on October 29, 1929, known as Black Tuesday; some dispute this conclusion, and see the stock crash as a symptom, rather than a cause, of the Great Depression. Together, government and business spent more in the first half of 1930 than in the corresponding period of the previous year. On the other hand, consumers, many of whom had suffered severe losses in the stock market the previous year, cut back their expenditures by ten percent. 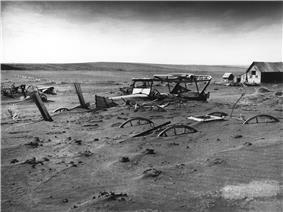 Likewise, beginning in mid-1930, a severe drought ravaged the agricultural heartland of the US. There were multiple causes for the first downturn in 1929. These include the structural weaknesses and specific events that turned it into a major depression and the manner in which the downturn spread from country to country. In relation to the 1929 downturn, historians emphasize structural factors like major bank failures and the stock market crash. In contrast, monetarist economists (such as Barry Eichengreen, Milton Friedman and Peter Temin) point to monetary factors such as actions by the US Federal Reserve that contracted the money supply, as well as Britain's decision to return to the gold standard at pre–World War I parities (US$4.86:£1). Recessions and business cycles are thought to be a normal part of living in a world of inexact balances between supply and demand. What turns a normal recession or 'ordinary' business cycle into a depression is a subject of much debate and concern. Scholars have not agreed on the exact causes and their relative importance. The search for causes is closely connected to the issue of avoiding future depressions. A related question is whether the Great Depression was primarily a failure on the part of free markets or a failure of government efforts to regulate interest rates, curtail widespread bank failures, and control the money supply. Current theories may be broadly classified into two main points of view and several heterodox points of view. There are demand-driven theories, most importantly Keynesian economics, but also including those who point to the breakdown of international trade, and Institutional economists who point to underconsumption and over-investment (causing an economic bubble), malfeasance by bankers and industrialists, or incompetence by government officials. The consensus among demand-driven theories is that a large-scale loss of confidence led to a sudden reduction in consumption and investment spending. Once panic and deflation set in, many people believed they could avoid further losses by keeping clear of the markets. Holding money became profitable as prices dropped lower and a given amount of money bought ever more goods, exacerbating the drop in demand. There are the monetarists, who believe that the Great Depression started as an ordinary recession, but that significant policy mistakes by monetary authorities (especially the Federal Reserve), caused a shrinking of the money supply which greatly exacerbated the economic situation, causing a recession to descend into the Great Depression. Related to this explanation are those who point to debt deflation causing those who borrow to owe ever more in real terms. There are also various heterodox theories that downplay or reject the explanations of the Keynesians and monetarists. For example, some new classical macroeconomists have argued that various labor market policies imposed at the start caused the length and severity of the Great Depression. The Austrian school of economics focuses on the macroeconomic effects of money supply, and how central banking decisions can lead to over-investment (economic bubble). British economist John Maynard Keynes argued in General Theory of Employment Interest and Money that lower aggregate expenditures in the economy contributed to a massive decline in income and to employment that was well below the average. In such a situation, the economy reached equilibrium at low levels of economic activity and high unemployment. Monetarists, including Milton Friedman, argue that the Great Depression was mainly caused by monetary contraction, the consequence of poor policy-making by the American Federal Reserve System and continued crisis in the banking system. In this view, the Federal Reserve, by not acting, allowed the money supply as measured by the M2 to shrink by one-third from 1929–1933, thereby transforming a normal recession into the Great Depression. Friedman argued that the downward turn in the economy, starting with the stock market crash, would have been just another recession. The Federal Reserve allowed some large public bank failures – particularly that of the New York Bank of the United States – which produced panic and widespread runs on local banks, and the Federal Reserve sat idly by while banks collapsed. He claimed that, if the Fed had provided emergency lending to these key banks, or simply bought government bonds on the open market to provide liquidity and increase the quantity of money after the key banks fell, all the rest of the banks would not have fallen after the large ones did, and the money supply would not have fallen as far and as fast as it did. With significantly less money to go around, businessmen could not get new loans and could not even get their old loans renewed, forcing many to stop investing. This interpretation blames the Federal Reserve for inaction, especially the New York branch. One reason why the Federal Reserve did not act to limit the decline of the money supply was regulation. At that time, the amount of credit the Federal Reserve could issue was limited by the Federal Reserve Act, which required 40% gold backing of Federal Reserve Notes issued. By the late 1920s, the Federal Reserve had almost hit the limit of allowable credit that could be backed by the gold in its possession. This credit was in the form of Federal Reserve demand notes. A "promise of gold" is not as good as "gold in the hand", particularly when they only had enough gold to cover 40% of the Federal Reserve Notes outstanding. During the bank panics a portion of those demand notes were redeemed for Federal Reserve gold. Since the Federal Reserve had hit its limit on allowable credit, any reduction in gold in its vaults had to be accompanied by a greater reduction in credit. On April 5, 1933, President Roosevelt signed Executive Order 6102 making the private ownership of gold certificates, coins and bullion illegal, reducing the pressure on Federal Reserve gold. Another explanation comes from the Austrian School of economics. Theorists of the "Austrian School" who wrote about the Depression include Austrian economist Friedrich Hayek and American economist Murray Rothbard, who wrote America's Great Depression (1963). In their view and like the monetarists, the Federal Reserve, which was created in 1913, shoulders much of the blame; but in opposition to the monetarists, they argue that the key cause of the Depression was the expansion of the money supply in the 1920s that led to an unsustainable credit-driven boom. In the Austrian view it was this inflation of the money supply that led to an unsustainable boom in both asset prices (stocks and bonds) and capital goods. By the time the Fed belatedly tightened in 1928, it was far too late and, in the Austrian view, a significant economic contraction was inevitable. In February 1929 Hayek published a paper predicting the Federal Reserve's actions would lead to a crisis starting in the stock and credit markets. According to Rothbard, government support for failed enterprises and keeping wages above their market values actually prolonged the Depression. Hayek, unlike Rothbard, believed since the 1970s, along with the monetarists, that the Federal Reserve further contributed to the problems of the Depression by permitting the money supply to shrink during the earliest years of the Depression. However in 1932 and 1934 Hayek had criticised the FED and the Bank of England for not taking a more contractionary stance. Karl Marx saw recession and depression as unavoidable under free-market capitalism as there are no restrictions on accumulations of capital other than the market itself. In the Marxist view, capitalism tends to create unbalanced accumulations of wealth, leading to over-accumulations of capital which inevitably lead to a crisis. This especially sharp bust is a regular feature of the boom and bust pattern of what Marxists term "chaotic" capitalist development. It is a tenet of many Marxist groupings that such crises are inevitable and will be increasingly severe until the contradictions inherent in the mismatch between the mode of production and the development of productive forces reach the final point of failure. 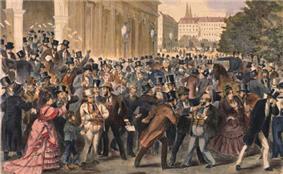 At which point, the crisis period encourages intensified class conflict and forces societal change. During the Crash of 1929 preceding the Great Depression, margin requirements were only 10%. Brokerage firms, in other words, would lend $9 for every $1 an investor had deposited. When the market fell, brokers called in these loans, which could not be paid back. Banks began to fail as debtors defaulted on debt and depositors attempted to withdraw their deposits en masse, triggering multiple bank runs. Government guarantees and Federal Reserve banking regulations to prevent such panics were ineffective or not used. Bank failures led to the loss of billions of dollars in assets. Outstanding debts became heavier, because prices and incomes fell by 20–50% but the debts remained at the same dollar amount. After the panic of 1929, and during the first 10 months of 1930, 744 US banks failed. (In all, 9,000 banks failed during the 1930s). By April 1933, around $7 billion in deposits had been frozen in failed banks or those left unlicensed after the March Bank Holiday. Macroeconomists including Ben Bernanke, the former chairman of the U.S. Federal Reserve Bank, have revived the debt-deflation view of the Great Depression originated by Fisher. Recent work from a neoclassical perspective focuses on the decline in productivity that caused the initial decline in output and a prolonged recovery due to policies that affected the labor market. This work, collected by Kehoe and Prescott, decomposes the economic decline into a decline in the labor force, capital stock, and the productivity with which these inputs are used. This study suggests that theories of the Great Depression have to explain an initial severe decline but rapid recovery in productivity, relatively little change in the capital stock, and a prolonged depression in the labor force. This analysis rejects theories that focus on the role of savings and posit a decline in the capital stock. 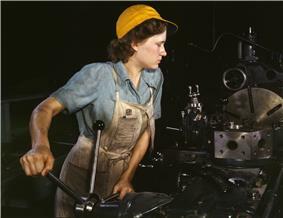 In most countries of the world, recovery from the Great Depression began in 1933. In the U.S., recovery began in early 1933, but the U.S. did not return to 1929 GNP for over a decade and still had an unemployment rate of about 15% in 1940, albeit down from the high of 25% in 1933. The measurement of the unemployment rate in this time period was unsophisticated and complicated by the presence of massive underemployment, in which employers and workers engaged in rationing of jobs. There is no consensus among economists regarding the motive force for the U.S. economic expansion that continued through most of the Roosevelt years (and the 1937 recession that interrupted it). The common view among most economists is that Roosevelt's New Deal policies either caused or accelerated the recovery, although his policies were never aggressive enough to bring the economy completely out of recession. Some economists have also called attention to the positive effects from expectations of reflation and rising nominal interest rates that Roosevelt's words and actions portended. It was the rollback of those same reflationary policies that led to the interrupting recession of 1937. One contributing policy that reversed reflation was the Banking Act of 1935, which effectively raised reserve requirements, causing a monetary contraction that helped to thwart the recovery. 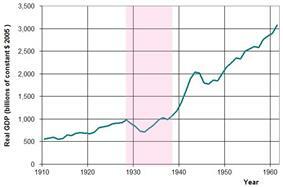 GDP returned to its upward trend in 1938. According to Christina Romer, the money supply growth caused by huge international gold inflows was a crucial source of the recovery of the United States economy, and that the economy showed little sign of self-correction. The gold inflows were partly due to devaluation of the U.S. dollar and partly due to deterioration of the political situation in Europe. In their book, A Monetary History of the United States, Milton Friedman and Anna J. Schwartz also attributed the recovery to monetary factors, and contended that it was much slowed by poor management of money by the Federal Reserve System. Current Chairman of the Federal Reserve Ben Bernanke agrees that monetary factors played important roles both in the worldwide economic decline and eventual recovery. Bernanke also sees a strong role for institutional factors, particularly the rebuilding and restructuring of the financial system, and points out that the Depression needs to be examined in international perspective. The US' entry into the war in 1941 finally eliminated the last effects from the Great Depression and brought the U.S. unemployment rate down below 10%. In the U.S., massive war spending doubled economic growth rates, either masking the effects of the Depression or essentially ending the Depression. Businessmen ignored the mounting national debt and heavy new taxes, redoubling their efforts for greater output to take advantage of generous government contracts. The majority of countries set up relief programs, and most underwent some sort of political upheaval, pushing them to the right. Many of the countries in Europe and Latin America that had democracy saw it overthrown by some form of dictatorship or authoritarian rule, most famously in Germany in 1933. The Dominion of Newfoundland gave up democracy voluntarily. Australia's dependence on agricultural and industrial exports meant it was one of the hardest-hit developed countries. Falling export demand and commodity prices placed massive downward pressures on wages. 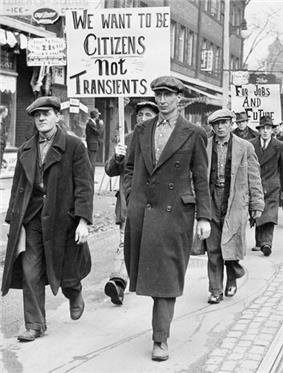 Further, unemployment reached a record high of 29% in 1932, with incidents of civil unrest becoming common. After 1932, an increase in wool and meat prices led to a gradual recovery. Harshly affected by both the global economic downturn and the Dust Bowl, Canadian industrial production had fallen to only 58% of the 1929 level by 1932, the second lowest level in the world after the United States, and well behind nations such as Britain, which saw it fall only to 83% of the 1929 level. Total national income fell to 56% of the 1929 level, again worse than any nation apart from the United States. 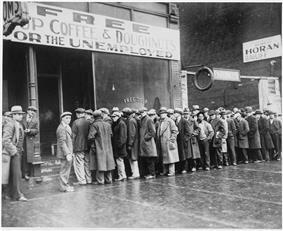 Unemployment reached 27% at the depth of the Depression in 1933. Baillargeon (1999) uses oral histories from 30 women to discover how Montreal housewives in the depression handled shortages of money and resources. Often they updated strategies their mothers used when they were growing up in poor families. Cheap foods were used, such as soups, beans and noodles. They purchased the cheapest cuts of meat—sometimes even horse meat—and recycled the Sunday roast into sandwiches and soups. They sewed and patched clothing, traded with their neighbors for outgrown items, and kept the house colder. New furniture and appliances were postponed until better days. These strategies, Baillargeon finds, show that women's domestic labor—cooking, cleaning, budgeting, shopping, childcare—was essential to the economic maintenance of the family and offered room for economies. Most of her informants also worked outside the home, or took boarders, did laundry for trade or cash, and did sewing for neighbors in exchange for something they could offer. Extended families used mutual aid—extra food, spare rooms, repair-work, cash loans—to help cousins and in-laws. Half of the Roman Catholic women defied Church teachings and used contraception to postpone births—the number of births nationwide fell from 250,000 in 1930 to about 228,000 and did not recover until 1940. China was largely unaffected by the Depression, mainly by having stuck to the Silver standard. However, the US silver purchase act of 1934 created an intolerable demand on China's silver coins, and so in the end the silver standard was officially abandoned in 1935 in favor of the four Chinese national banks' "legal note" issues. China and the British colony of Hong Kong, which followed suit in this regard in September 1935, would be the last to abandon the silver standard. In addition, the Nationalist Government also acted energetically to modernize the legal and penal systems, stabilize prices, amortize debts, reform the banking and currency systems, build railroads and highways, improve public health facilities, legislate against traffic in narcotics and augment industrial and agricultural production. On November 3, 1935, the government instituted the fiat currency (fapi) reform, immediately stabilizing prices and also raising revenues for the government. 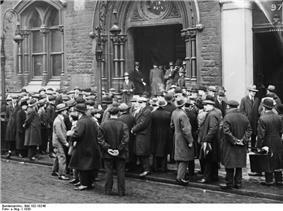 Germany's Weimar Republic was hit hard by the depression, as American loans to help rebuild the German economy now stopped. Unemployment soared, especially in larger cities, and the political system veered toward extremism. The unemployment rate reached nearly 30% in 1932, bolstering support for the Nazi (NSDAP) and Communist (KPD) parties, which both rose in the years following the crash to altogether possess a Reichstag majority following the general election in July 1932. Repayments of the war reparations due by Germany were suspended in 1932 following the Lausanne Conference of 1932. By that time, Germany had repaid one eighth of the reparations. 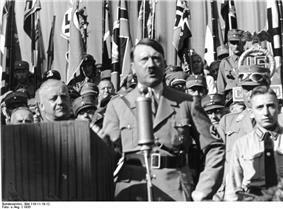 Hitler and the Nazi Party came to power in January 1933, establishing a totalitarian single-party state within months and initiating the path towards World War II, the most devastating conflict in world history. The Japanese economy shrank by 8% during 1929–31. Japan's Finance Minister Takahashi Korekiyo was the first to implement what have come to be identified as Keynesian economic policies: first, by large fiscal stimulus involving deficit spending; and second, by devaluing the currency. Takahashi used the Bank of Japan to sterilize the deficit spending and minimize resulting inflationary pressures. Econometric studies have identified the fiscal stimulus as especially effective. The devaluation of the currency had an immediate effect. Japanese textiles began to displace British textiles in export markets. The deficit spending proved to be most profound. The deficit spending went into the purchase of munitions for the armed forces. By 1933, Japan was already out of the depression. By 1934, Takahashi realized that the economy was in danger of overheating, and to avoid inflation, moved to reduce the deficit spending that went towards armaments and munitions. This resulted in a strong and swift negative reaction from nationalists, especially those in the army, culminating in his assassination in the course of the February 26 Incident. This had a chilling effect on all civilian bureaucrats in the Japanese government. From 1934, the military's dominance of the government continued to grow. Instead of reducing deficit spending, the government introduced price controls and rationing schemes that reduced, but did not eliminate inflation, which would remain a problem until the end of World War II. New Zealand was especially vulnerable to worldwide depression, as it relied almost totally on agricultural exports to the United Kingdom for its economy. The drop in exports led to a lack of disposable income from the farmers, who were the mainstay of the local economy. Jobs disappeared and wages plummeted, leaving people desperate and charities unable to cope. Work relief schemes were the only government support available to the unemployed, which by the early 1930s was officially around 15% but unofficially nearly twice that rate (official figures excluded Māori and women). In 1932, riots occurred among the employment in three of the country's main cities (Auckland, Dunedin, and Wellington). Many were arrested or injured through the tough official handling of these riots by police and volunteer "special constables". Already under the rule of a dictatorial junta, the Ditadura Nacional, Portugal suffered no turbulent political effects of the Depression, although Antonio de Oliveira Salazar, already appointed Minister of Finance in 1928 greatly expanded his powers and in 1932 rose to Prime Minister of Portugal to found the Estado Novo, an authoritarian corporatist dictatorship. With the budget balanced in 1929, the effects of the depression were relaxed through harsh measures towards budget balance and autarky, causing social discontent but stability and, eventually, an impressive economic growth. The regime outlived Salazar himself before being overthrown in the Carnation Revolution in 1974, initiating a road towards the restoration of democracy. As world trade slumped, demand for South African agricultural and mineral exports fell drastically. The Carnegie Commission on Poor Whites had concluded in 1931 that nearly one third of Afrikaners lived as pauper. It is believed that the social discomfort caused by the depression was a contributing factor in the 1933 split between the "gesuiwerde" (purified) and "smelter" (fusionist) factions within the National Party and the National Party's subsequent fusion with the South African Party. Eventually, the gesuiwerde faction of Daniel Malan would go on to form its own party and take over the government after the 1948 election, bringing about the doctrine of apartheid, instituting and extending racial segregation, which would see an end only in 1994. The Soviet Union was the world's sole communist state with very little international trade. At the time of the Depression, the Soviet economy was growing steadily, fueled by intensive investment in heavy industry. The apparent economic success of the Soviet Union at a time when the capitalist world was in crisis led many Western intellectuals to view the Soviet system favorably. Jennifer Burns wrote, "As the Great Depression ground on and unemployment soared, intellectuals began unfavorably comparing their faltering capitalist economy to Russian Communism. ... More than ten years after the Revolution, Communism was finally reaching full flower, according to the New York Times reporter Walter Duranty, a Stalin fan who vigorously debunked accounts of the Ukraine famine, a man-made disaster that would leave millions dead." The Depression in Spain exacerbated political and economic crises that led ultimately to the Spanish Civil War. The dictatorship of Prime Minister Miguel Primo de Rivera collapsed 1930 largely as a result of the government's inability to deal with the Depression. This was followed by the ousting of King Alfonso XIII in the following year, creating a Second Spanish Republic that had to grapple with the same social and economic problems. Economic instability and political strife continued, and after the divisive general election of 1936 the climate of violent antagonism between Left and Right expanded into the Spanish Civil War. The effects on the northern industrial areas of Britain were immediate and devastating, as demand for traditional industrial products collapsed. By the end of 1930 unemployment had more than doubled from 1 million to 2.5 million (20% of the insured workforce), and exports had fallen in value by 50%. In 1933, 30% of Glaswegians were unemployed due to the severe decline in heavy industry. In some towns and cities in the north east, unemployment reached as high as 70% as shipbuilding fell 90%. 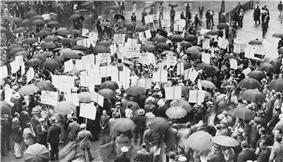 The National Hunger March of September–October 1932 was the largest of a series of hunger marches in Britain in the 1920s and 1930s. About 200,000 unemployed men were sent to the work camps, which continued in operation until 1939. Hoover’s first measures to combat the depression were based on voluntarism by businesses not to reduce their workforce or cut wages. But businesses had little choice and wages were reduced, workers were laid off, and investments postponed. By 1932, unemployment had reached 23.6%, and it peaked in early 1933 at 25%, drought persisted in the agricultural heartland, businesses and families defaulted on record numbers of loans, and more than 5,000 banks had failed. Hundreds of thousands of Americans found themselves homeless, and began congregating in shanty towns – dubbed "Hoovervilles" – that began to appear across the country. 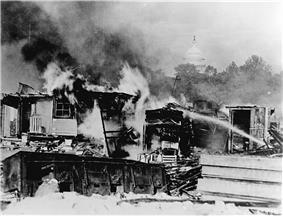 In response, President Hoover and Congress approved the Federal Home Loan Bank Act, to spur new home construction, and reduce foreclosures. The final attempt of the Hoover Administration to stimulate the economy was the passage of the Emergency Relief and Construction Act (ERA) which included funds for public works programs such as dams and the creation of the Reconstruction Finance Corporation (RFC) in 1932. The Reconstruction Finance Corporation was a Federal agency with the authority to lend up to $2 billion to rescue banks and restore confidence in financial institutions. But $2 billion was not enough to save all the banks, and bank runs and bank failures continued. Quarter by quarter the economy went downhill, as prices, profits and employment fell, leading to the political realignment in 1932 that brought to power Franklin Delano Roosevelt. Producers reduced their expenditures on durable goods, and inventories declined, but personal income was only 15% lower than it had been at the peak in 1937. As unemployment rose, consumers' expenditures declined, leading to further cutbacks in production. By May 1938 retail sales began to increase, employment improved, and industrial production turned up after June 1938. After the recovery from the Recession of 1937–1938, conservatives were able to form a bipartisan conservative coalition to stop further expansion of the New Deal and, when unemployment dropped to 2% in the early 1940s, they abolished WPA, CCC and the PWA relief programs. Social Security remained in place. Between 1933 and 1939, federal expenditure tripled, and Roosevelt's critics charged that he was turning America into a socialist state. The Great Depression was a main factor in the implementation of social democracy and planned economies in European countries after World War II (see Marshall Plan). Keynesianism remained the most influential economic school until the 1970s, when Milton Friedman and other economists propagated Monetarism as an alternative approach. Financial crises were traditionally referred to as "panics", most recently the major Panic of 1907, and the minor Panic of 1910–1911, though the 1929 crisis was called "The Crash", and the term "panic" has since fallen out of use. At the time of the Great Depression, the term "The Great Depression" was already used to referred to the period 1873–96 (in the United Kingdom), or more narrowly 1873–79 (in the United States), which has retroactively been renamed the Long Depression. The causes of the Great Recession seem similar to the Great Depression, but significant differences exist. The previous chairman of the Federal Reserve, Ben Bernanke, had extensively studied the Great Depression as part of his doctoral work at MIT, and implemented policies to manipulate the money supply and interest rates in ways that were not done in the 1930s. Bernanke's policies will undoubtedly be analyzed and scrutinized in the years to come, as economists debate the wisdom of his choices. Generally speaking, the recovery of the world's financial systems tended to be quicker during the Great Depression of the 1930s as opposed to the late-2000s recession. If we contrast the 1930s with the Crash of 2008 where gold went through the roof, it is clear that the US dollar on the gold standard was a completely different animal in comparison to the fiat free-floating US dollar currency we have today. Both currencies in 1929 and 2008 were the US dollar, but in an analogous way it is as if one was a Saber-toothed tiger and the other is a Bengal tiger; they are two completely different animals. Where we have experienced inflation since the Crash of 2008, the situation was much different in the 1930s when deflation set in. Unlike the deflation of the early 1930s, the US economy currently appears to be in a "liquidity trap," or a situation where monetary policy is unable to stimulate an economy back to health. ^ a b Frank, Robert H.; Bernanke, Ben S. (2007). Principles of Macroeconomics (3rd ed.). Boston: McGraw-Hill/Irwin. p. 98. ^ "World Economic Survey 1932–33". ^ Schultz, Stanley K. (1999). "Crashing Hopes: The Great Depression". American History 102: Civil War to the Present. ^ "1998/99 Prognosis Based Upon 1929 Market Autopsy". Gold Eagle. Retrieved 2008-05-22. ^ Hamilton, James (1987). "Monetary Factors in the Great Depression". Journal of Monetary Economics 19 (2): 145–169. ^ "Bernanke: Federal Reserve caused Great Depression". ^ Krugman, Paul (2007-02-15). "Who Was Milton Friedman?". ^ Griffin, G. Edward (2002). The Creature from Jekyll Island: A Second Look at the Federal Reserve. ^ a b c White, Lawrence (2008). "Did Hayek and Robbins Deepen the Great Depression?". Journal of Money, Credit and Banking 40 (40): 751–768. ^ a b Murray Rothbard, America's Great Depression (Ludwig von Mises Institute, 2000), pp. 159–163. ^ For Hayek's view, see Diego Pizano, Conversations with Great Economists: Friedrich A. Hayek, John Hicks, Nicholas Kaldor, Leonid V. Kantorovich, Joan Robinson, Paul A.Samuelson, Jan Tinbergen (Jorge Pinto Books, 2009). For Rothbard's view, see Murray Rothbard, A History of Money and Banking in the United States (Ludwig von Mises Institute), pp. 293–294. ^ Harman, Chris (2009). Zombie Capitalism: Global Crisis and the Relevance of Marx. London: Bookmarks Publications. pp. 143–160. ^ a b c Fisher, Irving (October 1933). "The Debt-Deflation Theory of Great Depressions". Econometrica (The Econometric Society) 1 (4): 337–357. ^ a b c "Bank Failures". Living History Farm. Retrieved 2008-05-22. ^ Bernanke, Ben S (June 1983). "Non-Monetary Effects of the Financial Crisis in the Propagation of the Great Depression". The American Economic Review (The American Economic Association) 73 (3): 257–276. ^ Mishkin, Fredric (December 1978). "The Household Balance and the Great Depression". Journal of Economic History 38 (4): 918–37. ^ Kehoe, Timothy J.; Prescott, Edward C. (2007). Great Depressions of the Twentieth Century. ^ "The World in Depression". ^ Allgoewer, Elisabeth (May 2002). "Underconsumption theories and Keynesian economics. Interpretations of the Great Depression". Discussion paper no. 2002–14. ^ Hubbert, M. King (1940). , Technocracy, Series A, No. 8, August 1936"Man Hours: A Declining Quantity"Man Hours and Distribution , Derived from . ^ Romer, Christina D., "What Ended the Great Depression", Journal of Economic History, December 1992, vol. 52, no. 4, pp. 757–784  "monetary development were crucial to the recovery implies that self-correction played little role in the growth of real output"
^ 27, No. 1 (February 1995): 1–28"Journal of Money, Credit, and Banking"Ben S. Bernanke, "The Macroeconomics of the Great Depression: A Comparative Approach," . Fraser.stlouisfed.org. Retrieved 2014-10-16. ^ Denyse Baillargeon, Making Do: Women, Family and Home in Montreal during the Great Depression (Wilfrid Laurier U. Press, 1999) pp 70, 108, 136-38, 159. ^ M.C. Urquhart (1965). Historical statistics of Canada. Toronto: Macmillan. p. 38. ^ "Weimar Republic and the Great Depression". Historylearningsite.co.uk. Retrieved 2010-09-04. 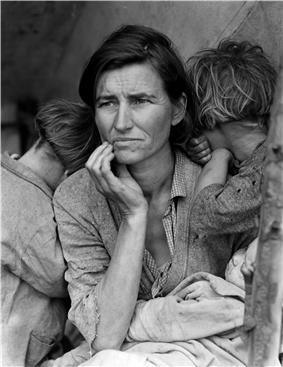 ^ "Great Depression in the United States", Microsoft Encarta. Archived 2009-10-31. ^ """National Park History: "The Spirit of the Civilian Conservation Corps. Nationalparkstraveler.com. Retrieved 2010-09-04. ^ Fletcher, T. W. (1961). 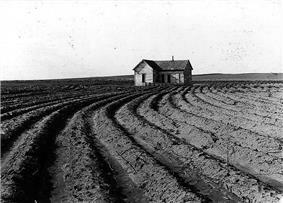 "The Great Depression of English Agriculture 1873–1896". The Economic History Review (Blackwell Publishing) 13 (3): 417–432. ^ Rampell, Catherine (March 11, 2009). "‘Great Recession’: A Brief Etymology". ^ Gibbs, Nancy (April 15, 2009). "The Great Recession: America Becomes Thrift Nation". ^ Lahart, Justin (July 28, 2009). "The Great Recession: A Downturn Sized Up". ^ Rabinowitz, Marco (October 6, 2011). "The Great Depression vs. the Great Recession: A look at the value of the US dollar in 1929 and 2008; what has changed and where that leaves us today". MSN Money. Benzinga. Bernanke, Ben (1995). "The Macroeconomics of the Great Depression: A Comparative Approach". Journal of Money, Credit, and Banking (Blackwell Publishing) 27 (1): 1–28. Konrad, Helmut and Wolfgang Maderthaner, eds. Routes Into the Abyss: Coping With Crises in the 1930s (Berghahn Books; 2013) 224 pages; Compares Germany, Italy, Austria, and Spain with those in Sweden, Japan, China, India, Turkey, Brazil, and the United States. For US specific references, please see the listing in Great Depression in the United States. Ethel P. Storey papers. 1985. 4 sound cassettes; papers. Storey discusses the Great Depression and hardships of early life, abortion, child bearing and motherhood. Helping the Homeless Man: Activities and Facilities of the Central Registry for Homeless Single Men. ca. 1933-1934. 18 photographic prints (1 box).